Today, the name Temple Mills is most closely associated with the once vast Temple Mills Railway Marshalling Yards stretching from Stratford to Lea Bridge, now much reduced in area. But the origins of the name lie much further back in time. The City of London holds a copyrighted watercolour of the Mills, which can be�viewed here�(opens a new page). The date is possibly between 1750-1850 and clearly shows the mills as a hive of industry with smoking chimneys. Various mill buildings grew up beside and over the river and side streams, within and across the borders of Leyton, Hackney and West Ham.�A mill was established on or before 1185, but the land was later identified as lying in Hackney and included some meadow in St. Mary Hope in Leyton.�The Templars owned a water-mill on land within Leyton by 1278 and by 1307-8 there were adjoining mills under the same roof - probably a single building complex traversing the river and therefore partly within Hackney and partly within Leyton. Each half was valued equally at �1 6s. 8d in 1308. 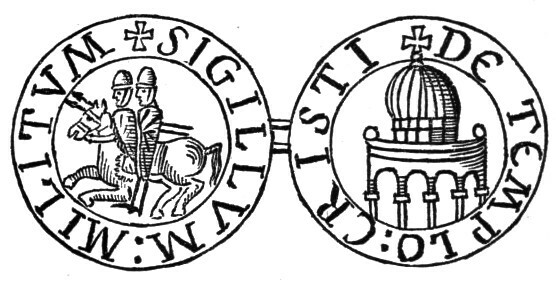 Ownership of the two halves of the mill passed to the Hospital of St. John of Jerusalem, Clerkenwell (known as the ‘Knights Hospitaller’) after the dissolution of the Order of the Templars.�The Order of St. John was also then also dissolved in 1540 when all monastic lands were seized during the reformation and passed to the Crown. The Order St John was revived in the short period of Mary's reign and their former lands and liberties in Leyton restored in 1558, but the Knight’s possessions were again annexed to the Crown after Elizabeth ascended the throne. The Crown granted Clement Goldsmith a 40-year lease of the mills in 1593, including the adjoining meadows, when the property continued to be described as two mills under one roof; Ruckholt Mills on the Leyton side and Hackney Mills in Hackney. Goldsmith subleased the mills to Edward Ryder in 1600 who then sold his interest to George Bromley in 1601.Ryder seems to have reserved all fishing rights and the right to operate his recently built flood-gates. The freehold was still held by the Crown in 1608. A powder mill was built near or on the site of former leather mills, perhaps in 1627, by Abraham Baker, a tenant. Baker also enlarged and improved the existing mills to grind rapeseed and smelt.�This was one of several early powder mills in the neighbourhood. The powder mill may be the same as the 'cutters' mill reported decayed by 1628, possibly following an explosion. At some date thereafter, perhaps when the term of Goldsmith’s lease ran out in 1633, Richard Trafford purchased or leased property. Trafford’s son, John, then sub-leased all or part of the property in 1637 to his tenant of ten years, Abraham Baker. In 1668, another Trafford son, Sigismund, sold the lease to John Samyne, a grocer of London who had been�made a freeman of the City in 1645�.�Samyne�(also known as or Samine, Semaine, Semeigne, or Seamayne)�was a gunpowder manufacturer and �the second largest supplier to the Government.�He operated gunpowder mills at East Mosley, Leyton and the Coppermills, Walthamstow.�The Samyne family sold the property in 1680. A new watermill was established on Hackney Marsh by or for Prince Rupert of the Rhine (1619-1682), possibly at Temple Mills. 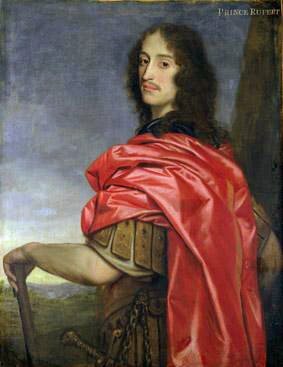 Rupert was the third founding member of the Royal Society and was increasingly active in scientific investigations after his retirement from the navy in 1674. He invented a�high specification and prohibitively expensive �naval gun called the Rupertinoe. The mill at Hackney employed a novel technique for boring guns, perhaps related to the innovative lathes and heat treatment techniques used to produce the Rupertinoe gun. �The secret of the boring techinque was reputedly lost upon the death of the prince in 1682 and the enterprise collapsed. By the third Anglo-Dutch War (1672-4),�only three ships had been equipped the new gun. The cost over-runs led to a fraud investigation by the Naval Commissioner, Samuel Pepys. Prince's metal or Prince Rupert's metal is a type of alpha brass containing 75% copper and 25% zinc. Due to its beautiful yellow color, it is used as an imitation of gold.�The alloy was named after Prince Rupert. There may possibly be a link between this technique and a company formed in 1695 to manufacture brass products at Temple Mills. Some time before 1720 the mills were acquired by a company formed in 1695 to manufacture brass kettles and tin and latten plates. A dispute arose between its past and present managers in 1721. A logwood mill also belonged to the Temple Mills in 1706, perhaps on the leather mill plot. By 1757 the brass works had been superseded by the manufacture of sheet lead (which was still in operation in 1814).�By 1795, the former Templar mills were being used for preparing lead, which was submerged in urine and heated by decaying cow dung, the lead was converted to lead oxide, and then finely ground to form a pigment for white, yellow and red lead paint. Adjoining land which had been sold with the mills in 1668 and probably in 1601 was mortgaged in 1769 on behalf of George Petty, together with a rent charge on the mills; it was conveyed without the rent charge in 1772 to Edward Leeds, whose son Richard conveyed it in 1812 to William Turner, a farmer on the Ruckholt estate in Leyton. A reference in 1770 indicates that mills continued to grind corn whilst a calico ground lay on the Leyton side of Temple Mills in 1772. In 1792 the points of needles were ground by Messrs. Sharpe, under a lease of 1783, whilst tree trunks were bored to make water pipes. The story of the mills is intertwined with an adjacent public house known as the White Hart and is also closely the associated a foot ferry across the Lea. �In 1686 a victualler at Temple Mills lost his licence after a quarrel with Henry Rowe. The public house probably gave its name to the White Ferry and, later, White Bridge. The White House Inn, slightly to the north, may or may not be associated. The mills in 1812 adjoined the south side of a bridge across the Lea on the parish boundary. Buildings immediately to the west included the White Hart, south of which a narrow peninsula stretched between the river and a wide ditch or sewer. On the Essex bank were�c. 6� a. in Leyton and West Ham. The mills-stream or Waterworks river was back-filled in the 1930s. 'Hackney: Economic History', A History of the County of Middlesex: Volume 10: Hackney (1995), pp. 92-101. 'Hackney: Social and Cultural Activities', A History of the County of Middlesex: Volume 10: Hackney (1995), pp. 65-73. Granger, James. (1821) A Biographical History of England: From Egbert the Great to the Revolution. London: William Baynes. Page 407. Hone, William. (1841) The Year Book of Daily Recreation and Information: Concerning Remarkable Men and Manners, Times and Seasons, Solemnities and Merry-makings, Antiquities and Novelties on the plan of the Every-day Book and Table. Tegg. Pages 306-7.